The New Orleanian began publication in the Crescent City as a weekly magazine on September 6, 1930. It billed itself as "a magazine that really reflects the life of New Orleans, what is going on here, up town, down town, back of town--in art, literature, society, on the stage and screen." By December the magazine had cut back to a "fortnightly" schedule, but continued to cite its purpose as to serve "its home, the city of New Orleans, with its environs ... long ... recognized as an area addicted to culture and appreciative of the finer things in life." The New Orleanian, which bore a definite stylistic resemblance to the famous New Yorker, satisfied the city's addiction to culture by presenting book and theatre reviews along with articles by such literary personalities as Gwen Bristow, Meigs Frost, Lyle Saxon, Grace King, and Charles L. Dufour. Its appreciation of the finer things in life manifested itself in its advertisements for some of the Crescent City's finest business establishments. 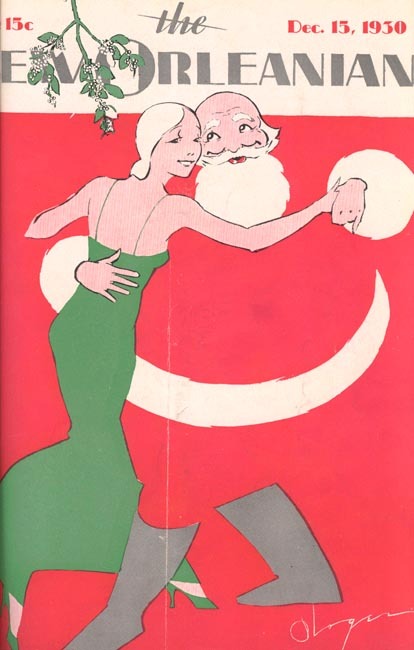 As New Orleans heads into the 2000 holiday season we offer this selection of advertisements from seventy years ago in The New Orleanian as a way of remembering some long-time favorite establishments that are no longer with us. The magazine itself did not survive the 1930s, a victim, no doubt, of the Great Depression. The surviving issues held in the Library's Louisiana Division are available for interested readers. Click on a business name below to see its advertisement in the New Orleanian.